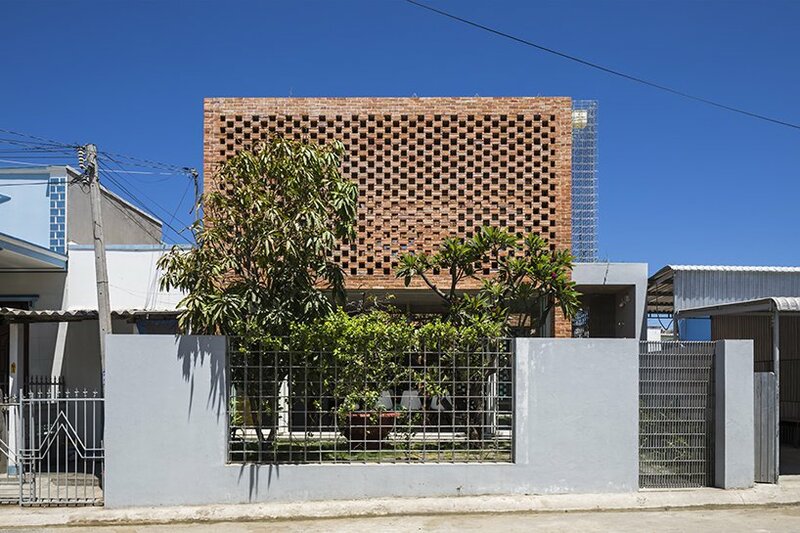 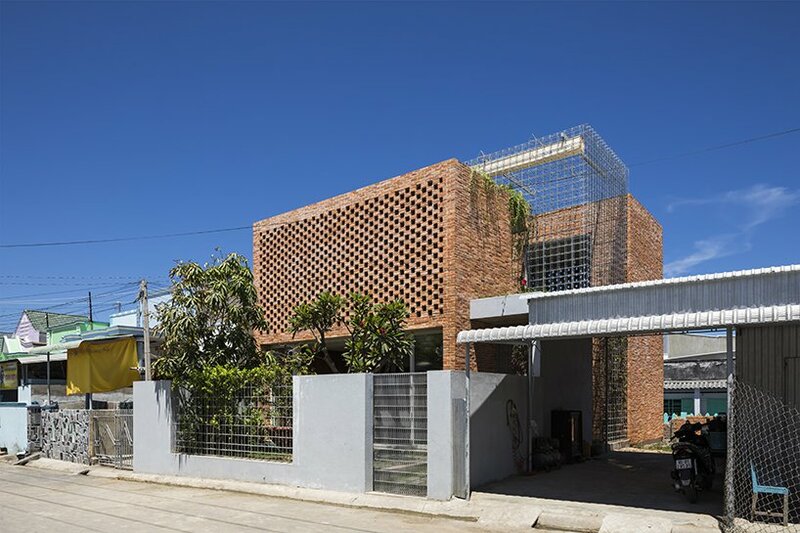 studio happ were commissioned to design a family house on a site just 100 meters from the coastline in the province of bình thuận, vietnam. 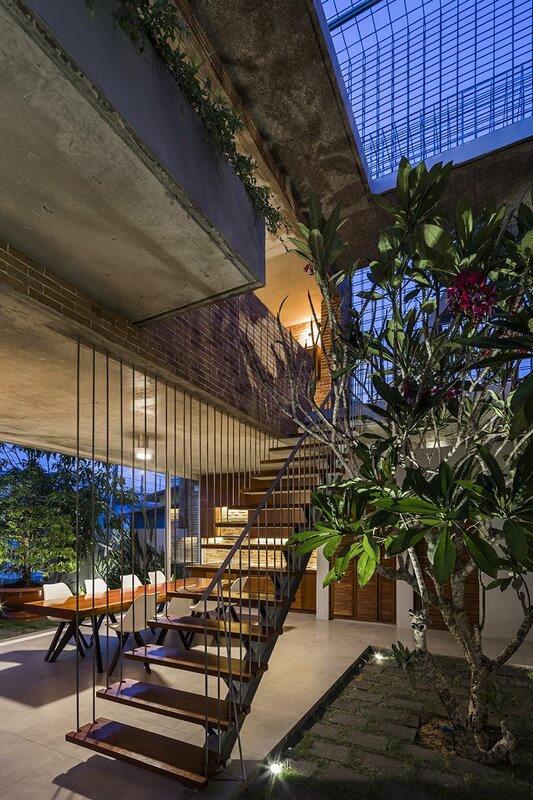 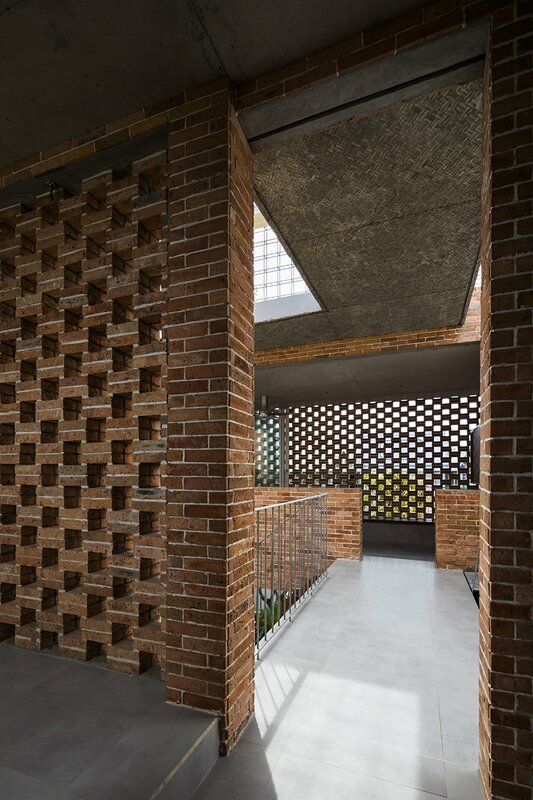 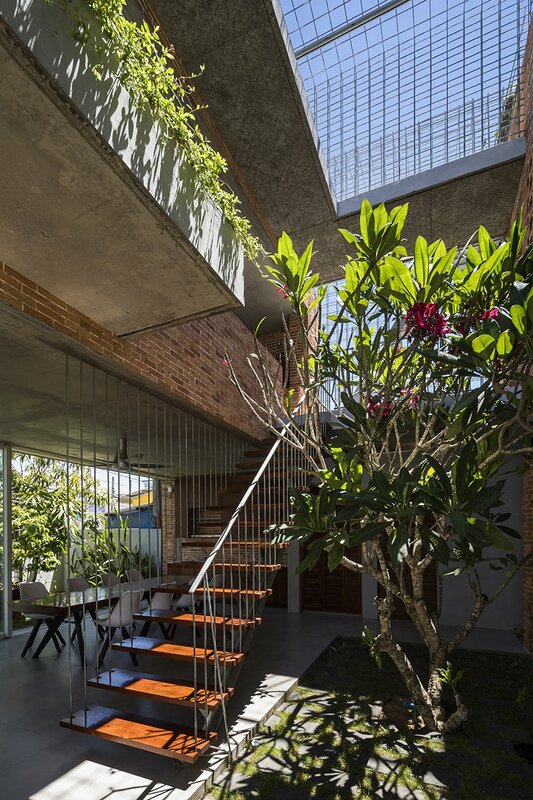 the project responds to the site and tropical weather of the region and the resulting design allows for passive strategies to take place creating cross ventilated spaces and gardens in between living areas. 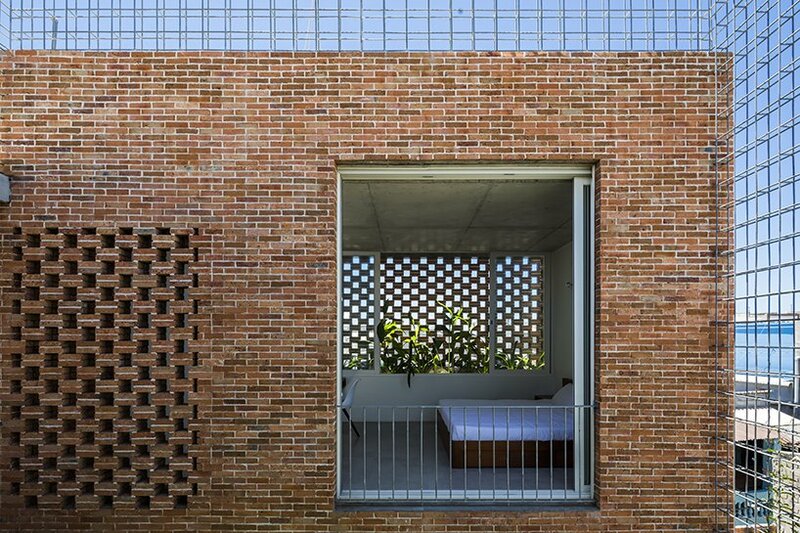 this brief generated the concept of a house in three volumes with a central internal courtyard. 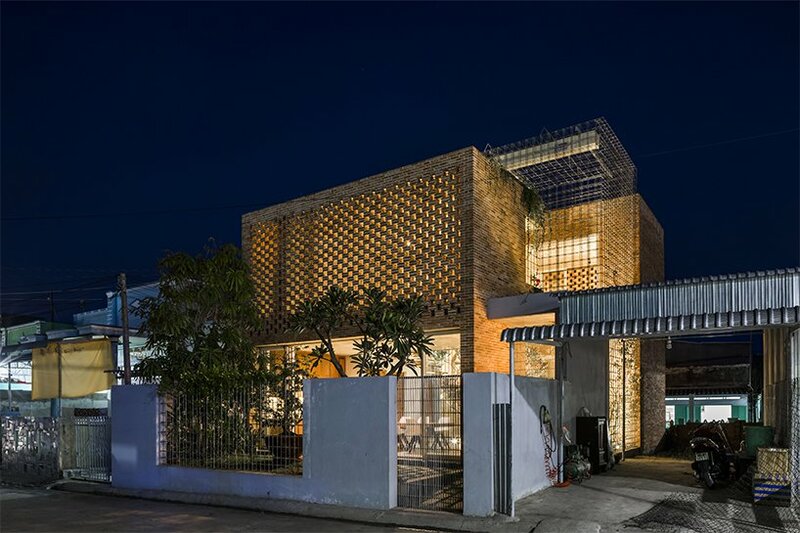 the concept of house t is characterized by a gradient of public to private spaces, with the kitchen and living room at the front and the bedrooms and bathrooms at the rear of the house. 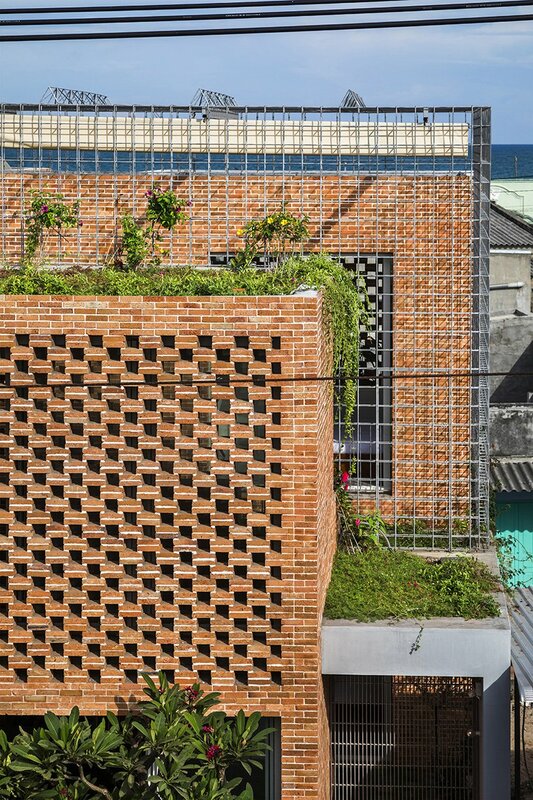 at the front of the house there is also a garden that works to cool down the front façade. 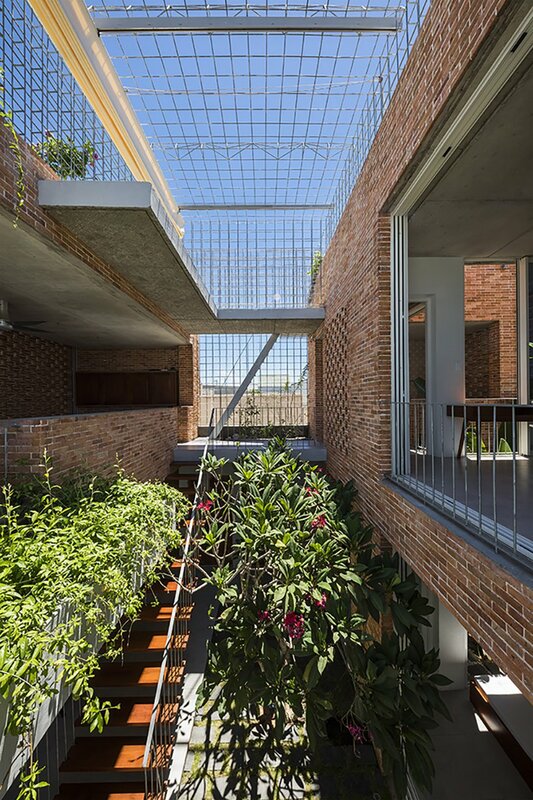 the inner courtyard which is sandwiched between two volumes is an enclosed space with vegetation that allows cross ventilation and shading. 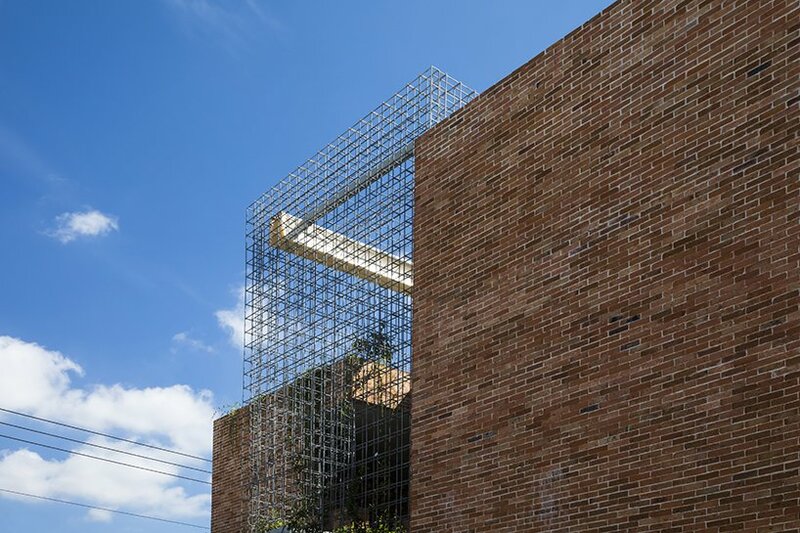 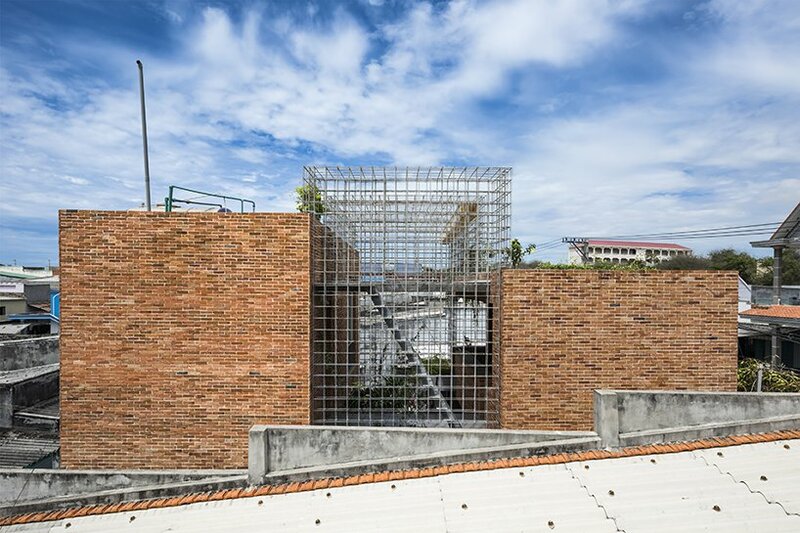 overall, this project by studio happ responds effectively to the climate by using gardens and green areas to maximize ventilation and introduce nature to the family’s daily life.